Idaho’s average teacher salary increased by 3.4 percent this year, nudging close to the $50,000 plateau. Since 2015 — when lawmakers approved a “career ladder” law to boost teacher pay — the average salary has increased by 12.5 percent. In several respects, the career ladder has performed as advertised. The five-year plan has dedicated tens of millions of dollars per year to boosting teacher pay, in a state where educator salaries languish near the bottom of national rankings. And as teachers from West Virginia to Los Angeles have gone on strike to demand better pay, the infusion of state dollars has helped to buy Idaho some stability and predictability. But now, Idaho’s teacher pay issue has reached a crossroads. New Gov. Brad Little wants to earmark $11.2 million into raises for beginning teachers. Lawmakers will have to decide whether to put $7.2 million into premiums for high-performing veteran teachers. Then there’s the career ladder itself. The fifth year would cost $48 million. And some educators are worried about what will happen after Year Five. This year, Idaho’s average teacher salary is $49,740, up from $48,113 a year ago. This 3.4 percent increase represents the second largest pay hike in the four years of the career ladder. Over the four years of the career ladder, the average teacher salary has gone up by $5,535. The state numbers show what is happening in the aggregate — across a work force of more than 16,000 educators. Numbers vary widely at the local level, and often for reasons that have nothing to do with the career ladder itself. Nampa’s Liberty Charter School now pays Idaho’s highest average teacher salary. In the process, Liberty leapfrogged Blaine County, which had held the top spot before, and since, the passage of the career ladder. But Liberty’s average salary of $76,687, and average pay raise of 26.4 percent, is partly a matter of accounting. Liberty still shares teachers and splits salary costs with neighboring charter schools. But Liberty has started reporting their teachers as full-time Liberty employees, while still receiving reimbursements from partner schools, to ensure the teachers fully qualify for pension benefits, said Gayle O’Donahue, the school’s community relations director. In the Wilder School District, salary increases averaged 11.5 percent. But that’s a blip, Superintendent Jeff Dillon said. The district adopted the career ladder’s salary schedule in midstream. This year, teachers received two years’ worth of raises under the salary schedule. Meanwhile, on the other side of the coin, the average salary at The Village Charter in Boise actually dropped slightly. At $38,077, the school’s average salary falls short of the $40,000 minimum Little has proposed. One reason: The school replaced two teachers this year, about a tenth of its faculty, and hired beginning teachers at the low end of the salary schedule, Principal Tony Richard said. Is the career ladder working? 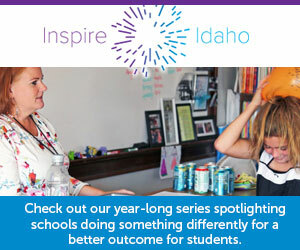 The Wilder and Boise districts are, in many respects, polar opposites. Wilder, in rural Canyon County, is one of Idaho’s most cash-strapped school districts. In the state’s capital city, Boise has the unique ability to collect tens of millions of dollars in permanent property tax levies. Wilder has adopted the career ladder in full, including its salary schedule. Boise has decided to keep its old salary plan, and use career ladder money as a cash infusion. But administrators in both districts say the career ladder has made it easier to negotiate contracts. “We have a plan, we know where the ladder is, we know where the schedule is going,” Dillon said. In Boise — a district that has long prided itself on harmonious negotiations with its local teachers’ association — the career ladder funding allows district and union leaders to focus on issues other than salaries. For example, that might mean a discussion about meeting the needs of a growing number of special education students, Deputy Superintendent Coby Dennis said. To be sure, though, Boise has advantages, which the career ladder funding augments. The local property tax base allows Boise to offer teachers the promise of a teaching career, and salaries that can reach the $70,000 range. Boise’s average salary is $58,661, ranking No. 3 among Idaho’s 115 school districts. In Wilder, the average salary is $46,488. And that illustrates one of the career ladder’s shortcomings, says Kari Overall, president of the Idaho Education Association. The career ladder frontloads most of its money into the low end of the pay scale. Schools that rely solely on money from the career ladder, and use the state’s salary schedule, run the risk of losing teachers to “destination districts” such as Boise, she said. In border communities, schools risk losing teachers to higher-paying jobs across the state line. “In order to get a raise, (teachers) may have to leave a district they love and may want to continue teaching in,” Overall said. That’s why many districts and charters try to go above and beyond the career ladder. Liberty’s pay raises aren’t merely a reflection of an accounting change. Last year, the charter’s board approved a new pay schedule, increasing salaries by $5,000 across the board, O’Donahue said. In the next few weeks, lawmakers will make several big decisions on teacher pay. The $40,000 minimum salary ($11.2 million). Not surprisingly, Little is getting praise for trying to make good on a campaign promise to boost starting pay. The $40,000 plan isn’t exactly new, however. As early as 2013, then-Gov. Butch Otter’s K-12 task force recommended a $40,000 minimum salary. Master teacher premiums ($7.2 million). The Otter task force — a group of education, business and political leaders — didn’t stop with a minimum salary recommendation. The task force also recommended a top salary of $60,000. The Legislature never went along with this idea. Even at full rollout, the five-year career ladder schedule would top out at $50,000. In its place, lawmakers drew up a plan for master teacher premiums, which would provide up to $4,000 annually to high-performing veteran educators, starting in 2019. Overall hopes the state will provide premiums to every teacher who meets the state’s criteria — regardless of the bottom-line cost to state coffers. And she still wants the state to revisit the idea of funding $60,000 salaries. Career ladder, year five ($48 million). Little and state superintendent Sherri Ybarra are both pushing to fund the final installment of the career ladder. Despite the five-year cost of $250 million, the career ladder has come to be a relatively easy sell at the Statehouse. Recent school budgets have passed the Legislature with nearly unanimous support. The bigger question might be what happens to the career ladder after 2019. Teacher pay is now a dedicated line item in the K-12 budget — and a big line item of $761 million. But this year, the Legislature could consider a recommendation to rewrite the school funding formula. One question: Should the state fold this $761 million into the stream of dollars that would flow out based on the new formula, or should they leave the salary money alone? The state’s leading education lobbying groups — the Idaho School Boards Association, the Idaho Association of School Administrators and the IEA — want the salary line item left intact. So do many educators. Dennis at least wants the career ladder left alone, to allow Little’s own education task force the time to study its effectiveness. But from his vantage point, Dennis says the career ladder is proving its worth. “It has been such a godsend to districts and teachers around the state,” he said.